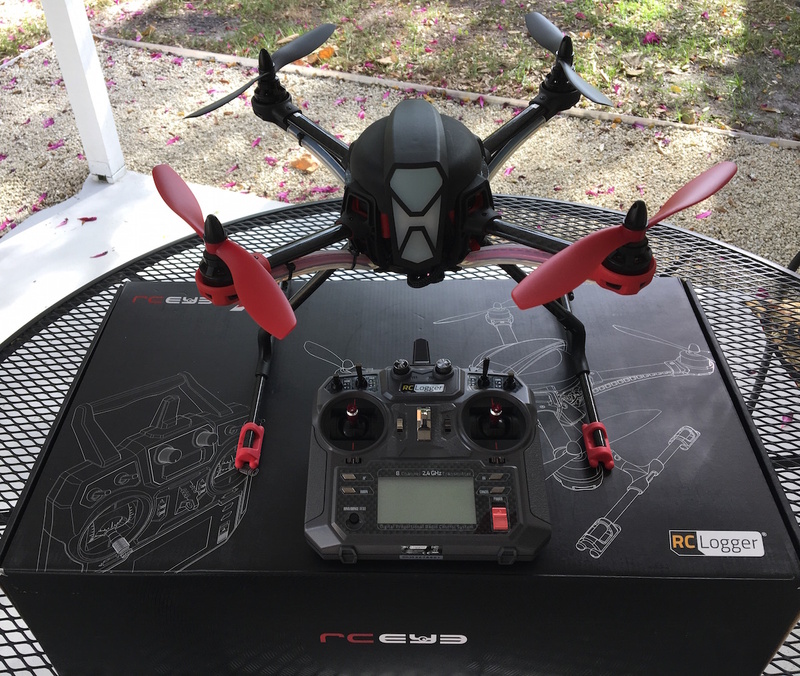 Part One – note, we will either add to this review or post a Part Two as we gain more experience with the RC Logger Nove 350X Quadcopter. RC Logger is a different kind of drone company. Since their founding in 2010 they have been a popular “boutique” brand with many R/C hobbyists. As the hobby evolved they have brought many new designs to market, including the Eye One Extreme what we reviewed last year. The new NovaX 350 is a mid-sized model with GPS features as well as a smartphone app for configuration. It is capable of lifting decent payloads (350 grams) – which include cameras as well as optional (or DIY) gimbals for smooth video. At a price of about $320 – $500+ (depend on RTF or ARF) it is a good value – assuming it fits your needs. The best description for the NovaX 350 might include the words “sport” and “flexible”. For example, a pilot wishing to do some fast FPV flying, some manual stick practice and also some aerial photography would be able to easily switch the modes and payloads to suit. Evening and night flying are another specialty of the NovaX – it has perhaps the best stock set of LED lighting on the market. While many buyers might choose the RTF (comes with a remote and is ready-to-fly) version, there is also an ARF (almost Ready to Fly) version which allows use of many higher end Remotes (TX)…and then the tweaking of many of the various flight characteristics.